The AC2000 BACnet interface provides a simple and efficient way to integrate AC2000 with third party building management systems. BACnet is a communications protocol for Building Automation and Control Networks. The interface allows alarms to be sent over to the Building Management System (BMS), Heating, Ventilation, and Air Conditioning (HVAC), Fire and other external systems that support BACnet communication. 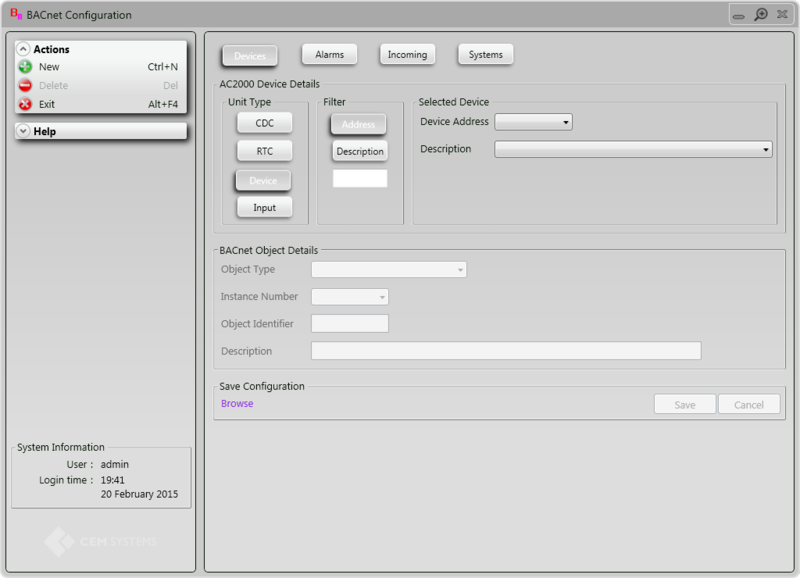 This bi-directional interface also allows AC2000 to receive third party COV (Change-of-Value) notifications with the ability to display and monitor the events on the AC2000 Security Hub alarm and event management application. This interface enables alarms to be sent in BACnet protocol to third party systems including building management systems, HVAC, fire and any other systems that support BACnet communication. The interface is bi-directional, allowing for both the sending of AC2000 alarms and the receipt of third party Change of Value (COV) BACnet messages, which can then be displayed on the AC2000 Security Hub alarm and event management application.